Interest rates have a significant impact on consumers, investors, and the economy. When the economy starts to overheat and inflation rises, the central bank tries to increase interest rates to raise the cost of borrowing, reduce consumer spending, and put on the brakes. But, rising interest rates also impact the stock and bond markets. In this article, we will take a closer look at interest rates, how they influence retirement portfolios, and how you can hedge against them. Central banks influence interest rates to control inflation and maintain steady economic growth. 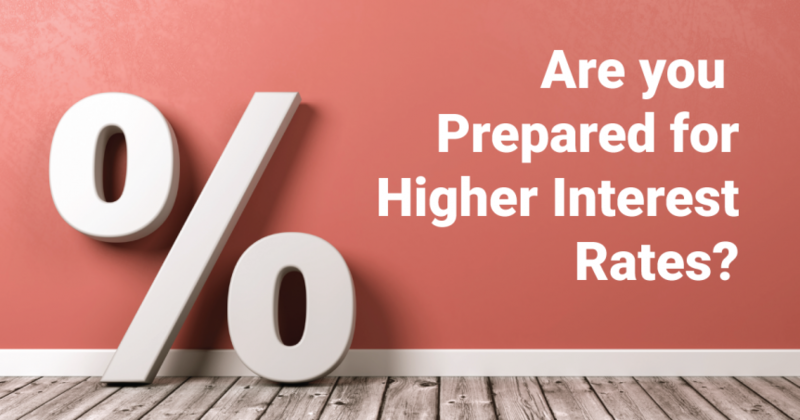 Most people have heard of interest rates and recognize their impact on certificates of deposit (CDs) and mortgage rates—but who sets these interest rates and how do they work? Interest is simply the amount paid by a borrower to a lender beyond the repayment of the principal amount of a loan or bond—or the “cost of money”. There are many factors that influence interest rates, but inflation and liquidity are two important systemic factors. Rising (or falling) inflation tends to lead to higher (or lower) interest rates, while high (or low) liquidity tends to keep interest rates low (or high). The Federal Reserve influences interest rates by effectively setting the federal funds rate, which is the interest rate at which banks lend reserve balances to other banks overnight. While individual banks can set their own interest rates for consumers, they’re heavily influenced by the central bank’s federal funds rate. Central banks use interest rates to control inflation and maintain steady economic growth. If the economy is rapidly growing, inflation will rise, everyone will save less, debt levels will rise, and balance sheets will deteriorate. Central banks increase interest rates to reduce lending, slow spending, encourage saving, and bring inflation down to target levels. If the economy is rapidly contracting, inflation will decrease, everyone will save more, debt becomes more difficult to repay, and the economy suffers. Central banks decrease interest rates to encourage lending, increase spending, and bring inflation to higher levels. The Federal Reserve’s target inflation rate is two percent, as measured by the annual change in the price index for personal expenditures. The central bank believes that this level strikes a balance that’s optimal for steady economic growth. Interest rates have a significant impact on both equities and bonds, as well as cash savings accounts. Download our free interest rate strategy worksheet to protect your portfolio. Bond prices are most influenced by interest rates. When interest rates rise, bond yields must rise to remain competitive and bond prices fall. Bond funds tend to suffer more than individual bonds due to added redemption risk—selling shareholders may force a fund to liquidate bonds earlier than it would otherwise to meet its redemption requests. Equities are influenced by interest rates to a lesser extent. When interest rates rise, investors transition into bonds to capitalize on higher yields and companies have a higher cost of capital that can eat into their profit margins. Dividend stocks tend to be the most affected since they’re typically purchased for their yield, but all stocks can experience lower earnings, and assuming earnings multiples are constant, lower stock prices. Retirement portfolios are typically hard hit by rising interest rates since they’re heavily weighted in bonds. Suppose you have a $1 million portfolio that’s 80 percent bonds yielding three percent. Interest rates rise and the bond prices fall by five percent, or $40,000. The market yield for similar bonds also goes up to four percent. You could hold on to the bonds, but you will still only receive three percent. If you sell the bond, you would realize the $40,000 loss, but you could buy new bonds yielding four percent. On the other hand, new retirees could benefit from higher yields if they’re just starting to buy bonds for income. Suppose that you have a $1 million portfolio that’s primarily stocks, but you’re looking to transition into bonds. Using the example above, the one percent increase in yield could translate to an extra $8,000 per year if 80 percent of the portfolio was moved into bonds after the interest rate hike. The catch is that the price of the bonds will continue to fall if interest rates continue to rise. Debt becomes more expensive. Variable rate loans can increase and become more expensive to repay in retirement. The opportunity cost of cash rises. Cash holdings are missing out on higher potential returns due to higher yields, unless the cash is in an interest-bearing account. Retirement portfolios are caught in a tough spot when interest rates are moving higher. Retirees may be relying on regular income from their portfolios with less volatility than equities. While bonds match these requirements during normal times, rising interest rate environments could translate to losses—especially for long-term bonds. The good news is that there are ways to hedge retirement portfolios against these risks. 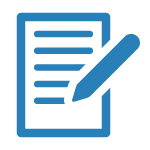 Don’t forget to download our free interest rate strategy worksheet. Bonds and dividend stocks aren’t the only way to generate an income from a retirement portfolio. By selling call options against a long stock position, investors can collect premiums, reducing the risk of losing money. We designed the Snider Method to optimize this process to generate the highest level of premium income while minimizing opportunity costs. The Snider Investment Method also uses cash strategically to manage some of the risk involved with investing in the stock market. Since our portfolios generally have some portion in cash, higher interest rates generally benefits most of our portfolios. Most brokers pay account holders interest on the uninvested cash balance in their accounts. You can learn more about the Snider Method by taking our free courses or by checking out our managed portfolio options. Some bonds offer inflation protection features. For example, Treasury Inflation-Protected Securities, or TIPS, adjust their principal based on inflation or deflation. When a TIPS matures, investors receive the adjusted principle or the original principle, whichever is greater. The catch is that these bonds could have lower yields during deflationary times. There are also several inflation-hedged bond funds. Often times, these funds use derivatives to mitigate the risk of inflation by offsetting any bond losses with derivative gains. International stocks and bonds offer a way to diversify away from the Federal Reserve’s actions. For example, many European and Asian economies struggled with deflation well after the United States economy began addressing inflation following the 2008 financial crisis. Bonds in these countries could offer greater yields with less inflation risk. When investing internationally, it’s important to keep in mind that there are other unique risk factors to consider. Currency risks, political risks, potential taxes, and liquidity risks can impact foreign bonds and bond funds in ways that mitigate the benefits of avoiding inflation. Rising interest rates have a big impact on bonds and equities—and especially retirement portfolios. The good news is that there are several ways to hedge against these risks, including stock options, inflation-hedged bonds, and international diversification. For more information about how the Snider Method can help hedge against rising rates, check out our free courses or managed options. Download our free worksheet to develop an interest rate strategy that’s appropriate for your retirement and goals.